Some point to the work of futurist Luigi Russolo between 1913 and 1930 as the advent of sound art. This is the predominant theory regarding the late arrival of sound. Sound arrived on the scene long after painting and sculpture. It did not appear on the visual art horizon until the historical avant garde. Of course, this is not to say that people did not go to music halls to listen to music, or stand in plazas to hear the toll of bells, or experience the cacophony of gongs and drums at temple festivals; but rather, sound-muted became sound-delayed within the visually-oriented exhibition space. Hence, the late arrival of sound poses a question: what effect does sound have on the theoretical constructs it comes in the wake of ? How does sound modify a prevailing consciousness through retrogression in the discourse of modern art within contemporary interdisciplinary contemplation? The Sound Matters lecture series maps out the resonance in art, culture and politics of the belated arrival of sound; aspects including the expanding realm of sound as artistic practice, the concept and practice of clairaudience, contemporary sound culture in Taiwan and its epistemological model, the sound arena in China, sound and the history of conflict, and the practice of sound in cultural and political work. Over five lecture sessions, Sound Matters contemplates the possibility of sound occupying the future. 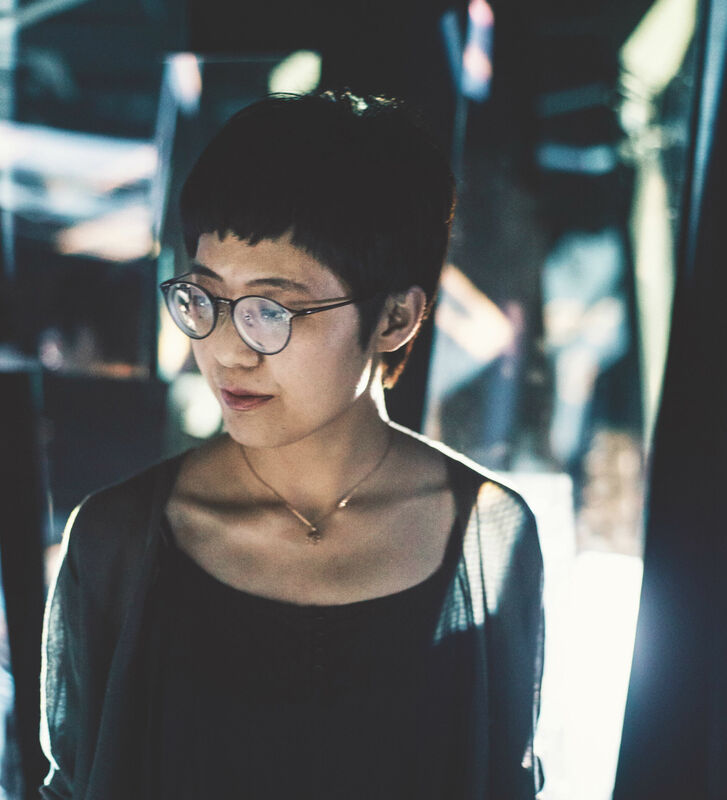 For the first lecture, Chinese sound theorist Adel Wang Jing will critique and reflect on the sound art scene in China from the perspectives of technology, aesthetics, and ethics. For the second lecture, Hong Kong artist Samson Young expounds on his work in progress, “For Whom the Bell Tolls: Journeys Through the Sound History of Conflict” to reveal the intersection of sound culture with the politics of remnants, translation, and memory. In contrast to the focus on connections between conflict, isolation, religion and war in Samson Young’s discussion, Hong-Kai Wang of Taiwan is attends to various modalities of “sociality” mobilized by listening. She will explore “clairaudience” as a critical concept and practice with the audience, while complicating the politics of “listening” and seeking unlikely “affiliation” beyond given times and spaces. 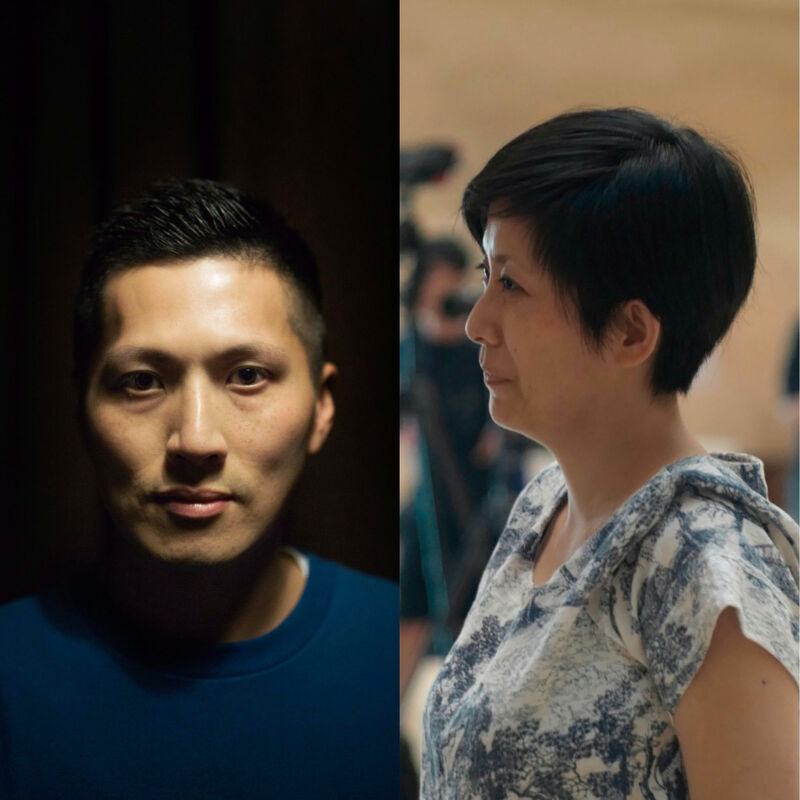 In the third lecture, Amy Cheng and Jeph Lo set their sights on Taiwan’s contemporary sound culture, exploring how it has been assembled from the dual dialectical trajectories of “control” and “resistance”; they will undertake a bold attempt to use “social composition” to conceptually encapsulate this epistemological model. Following on to his response to the re-contemplation of music in contemporary art following restrictions of sound in After Sound, sound theorist Douglas Barrett will explain in the fourth lecture of the series how he coined the phrase “critical music” in the aftermath of Christoph Cox’s materialism and Seth Kim-Cohen’s idealism to encapsulate the group of contemporary artists engaged in cultural and political work who utilize the form of music but are not limited by sound. The fifth lecture in the series will be given by Hendrik Folkerts, one of the curators of Documenta14. Folkerts will discuss the concept of the musical score with his 2016 essay “Keeping Score. Notation, Embodiment and Liveness” as a starting point. The musical score often determines the design of spatial and social conditions for a performance event; and suggests spatial, architectural and social structures as parameters for music or for performance. Folkerts will emphasize the various typologies of the score, with an emphasis on the interdisciplinary inspiration they provide for visual art, music, choreography and curatorship. Based on contemporary sound practices and artworks, I reflect critically on mainland China’s sound scene through three aspects, techniques, aesthetics and ethics. From its origin till today, musicians, artists, critics and listeners’ understanding of sound art, has always been influenced by foreign sound technology (e.g. tape recorders, DIY sound hardware, sound transmission technology, multimedia programming languages), aesthetic (e.g. micro, minimal, immersive), as well as ethics (especial John Cage and Gilles Deleuze’s confirmation on the transformative potentiality of the world and insistence on the process and liveliness of thing). At the same time, local socio-political milieus, virtual and ecological environments, ands habitual tastes and ethics that have permeated individual’s everyday life and affectivity, inevitably condition the actual creation, performance and exhibition of sound works. In this talk, I attempt to propose my observation of two tendencies in the sound scene in mainland China: new naturalism and obscure criticality. Academically trained in performance studies, Adel-Jing Wang is an associate professor in the College of Media and International Culture at Zhejiang University. Her book Sound and Affect: An Anthropology of China’s Sound Practice (Zhejiang University Press, 2017) explores the concepts of freedom, affect and sound through anthropological research on China’s sound culture. She is published in academic journals including Leonardo, Leonardo Music Journal, Journal of Popular Music Studies, Representations, and International Review of Qualitative Research. Her current research focuses on sound studies, sensory studies, performance studies, and anthropological methods. Artistically, She works primarily with field-recordings and installation based live performance. She explores listening and field-recording as a kind of socio-political, spiritual and cultural practice of sound. In August 2014, with local artists she co-founded BUS, a non-profit organization, to organize and promote experimental and avant-garde art practices. In January 2015, she founded The Sound Lab at College of Media and International Culture at Zhejiang University. In this seminar, I will discuss an on-going project For Whom the Bell Tolls: A Journey Into the Sonic History of Conflict, which takes the titles of Hemingway’s novel quite literally and asks: who needs bells? For whom are bells cast, sounded, and preserved in perpetuity? Much like the traveling landscape artist, in this work I notate and record the sounds of these large sonorous objects in a variety of auditory conditions. The 60-day journey that spans five continents will generate an archive of recordings, sound sketches, a composition for tape and orchestra. I will also discuss a couple of my recent works, including the radio broadcast piece Nocturne (2015), LRAD performance Canon (2016), multimedia performance Anatomy of a String Quartet (2014), and installation The Coffee Cantata (Institute of Fictional Ethnomusicology) (2014). In her talk titled “Co-Listeners, Co-conspirators”, Hong-Kai Wang investigates the ways in which “clairaudience” can seek to reveal affiliations between different modes of knowledge production and living praxis. Taking her work informed by critical pedagogy as a point of departure, Wang invites the audience to together inquire and complicate the politics of “listening” and the possibilities of sociality. Born in Hong Kong in 1979, Samson Young is an artist and composer. Behind each project of his is an extensive process of research, involving a mapping of the process through a series of “sound sketches” and audio recordings. His drawing, radio broadcast, performance and composition touch upon the recurring topics of conflict, war, and political frontiers. Young was the inaugural winner of the BMW Art Journey Award at Art Basel Hong Kong 2015, and in 2017 he represented Hong Kong at the 57th Venice Biennale. Other solo presentations include Hiroshima City Museum of Contemporary Art (Japan, 2015), Team Gallery (New York, 2015), Para/Site (Hong Kong, 2016), Experimenter (India, 2016); Kunsthalle Düsseldorf (Germany, 2016) and Centre for Chinese Contemporary Art (Manchester, 2017). Upcoming projects include the 21st Biennale of Sydney (2018), the Solomon R Guggenheim Museum in New York (2018), and the Talbot Rice Gallery as a part of the 2019 Edinburgh Festival. Young is the member of multiple bands and has collaborated with ensembles worldwide. He has participated in international music and performing art festivals including Manchester International Festival, Internationale Ferienkurse für Neue Musik Darmstadt, Fusebox Festival (Austin), New York Electronic Art Festival, Tonlagen Festival (Dresden), Transart Festival (Bolzano), and MONA FOMA Festival of Music and Art. Born in Huwei, Taiwan, Hong-Kai Wang is an artist, researcher and educator based in Vienna and Taipei. She is currently a PhD in Practice candidate at Academy of Fine Arts Vienna. The process of Wang’s research-based practice is profoundly informed by the unceasing tension between languages, ideologies, identities and knowledge regimes she experienced growing up on an island long plagued by histories of colonialism. It is situated at the intersection of aesthetic, discursive and knowledge production, often concerned with politics of missing knowledges resulted by encounters between histories, lived experience and power. Through experimenting with modes of listening, organizing pedagogy as temporary gatherings, mobilizing collaborative sociality as performance, and encouraging alterior bodily interpretations, Wang’s practice often seeks to forge unlikely affiliation beyond received chronologies and geographies in the milieu of art and discourse making as well as studying and teaching in art. Her works span performance, installation, workshop, publication, sound work, etc. Wang has presented her practice internationally at Documenta 14, Taipei Biennial, Parasophia Kyoto International Festival Contemporary Culture, Liquid Architecture, Kunsthall Trondheim, Museum of Modern Art New York, Taiwan Pavilion, the 54th Venice Biennale among others. Wang is currently part of the MFA Music/Sound faculty of Bard College. "Reverberation," "noise," and "modern spaces" as auditory clues and thought metaphors from which to examine the development of Taiwanese history and sound cultures from Japanese colonial period, martial law and the lifting of martial law to present days, have been the main focus of research into modern sound cultures in Taiwan at TheCube Project Space in recent years. The research explores the formations of sound cultures that has been constructed between the two dialectical trajectories of "control" and "resistance." Perhaps we can boldly use "social composition" as a concept to encapsulate this epistemological model. 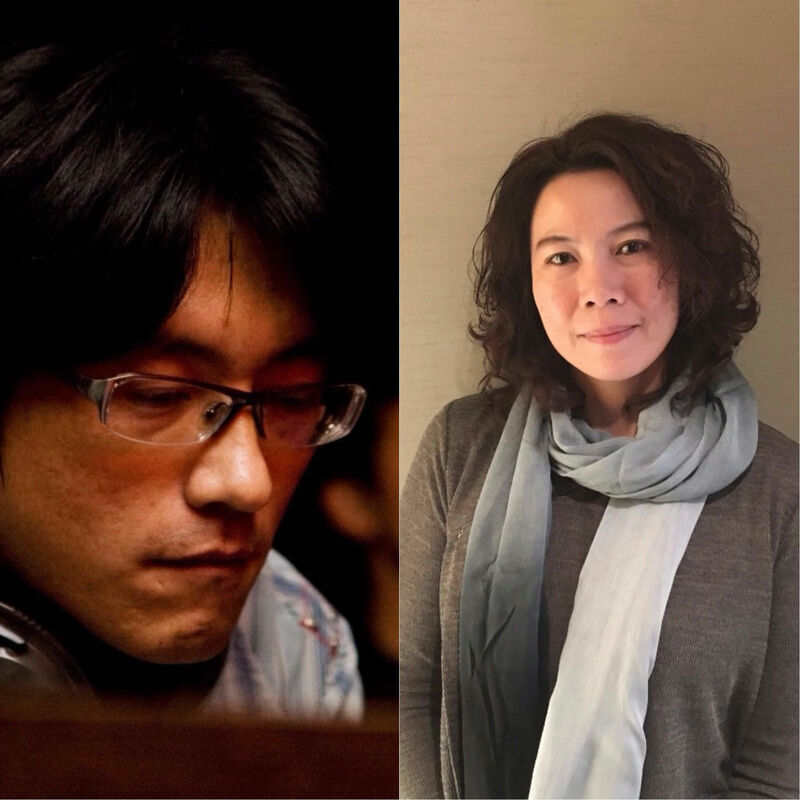 This lecture will use "Sound Traces: Taiwanese Modern Sound Culture Database" as a departure point and through reviewing several landmark historical events to enter the discourse, for instance, the identity consciousness in the work of field recordings from the Japanese colonial period to the post-martial law era, as well as the post-martial law interactive political and social relationships in the noise movement of the 1990s. Amy Cheng is a curator and writer based in Taipei. She co-founded TheCube Project Space with Jeph Lo in 2010, which serves as an independent art space devoted to the research, production and presentation of contemporary art in Taipei. She has curated various exhibitions including The Heard and the Unheard: Soundscape Taiwan, Taiwan Pavilion at the 54th International Art Exhibition – La Biennale di Venezia (2011), the exhibition series Re-envisioning Society (Taipei, 2011-2013), Shamans and Dissent (Hong Kong, 2013) and Towards Mysterious Realities (Taipei, Seoul, 2016/2018). She also co-curated these exhibitions: Melancholy in Progress: The 3rd Taiwan International Video Art Exhibition (2012), ALTERing NATIVism – Sound Cultures in Post War Taiwan (2014), Phantom of Civilization (Luxembourg, 2015), and Tell Me a Story – Locality and Narrative (Shanghai, Torino, 2016/2018). She has also been appointed a jury member of the 57th International Art Exhibition of La Biennale di Venezia (2017). Jeph Lo co-curated the exhibtion Altering Nativism: Sound Cultures in Post-war Taiwan (2014), and also worked as the chief editor of the exhibition’s catalogue/reader. Lo is the co-founder of TheCube Project Space (Taipei), the main contributor to and editor of Walk the Music – Taipei MusicMap since ’ 90 (2000), and translator of Altered States: The Story of Ecstasy Culture and Acid House (2002). Sound and music: sound studies and sound art theorists often see the relationship between these two fields as inclusive. Music, they contend, is a special case of sound formalized through an essentially autonomous, even hermetic syntax. Meanwhile, musicologists and other scholars criticize sound’s epistemological construction as disciplinarily biased (e.g. Brian Kane’s “musicophobia”) or ahistorical (e.g. Georgina Born’s “year zero” phenomenon). But is there a more fundamental distinction to be made between the sonic and the musical? Can music exceed its alleged formal adherence to sound to engage with a broader social and political universe? Responding to the proliferation of activity following the recently announced “sonic turn” in the arts and humanities, I propose a novel artistic category for socially engaged musical art practices. Coining the term “critical music,” I discuss contemporary artists who intervene into political conflicts by exploiting music’s unique historical forms. Beyond sound, these artists incorporate conceptualism, social practice, and activism in work that interrogates gender, sexuality, politics, and labor. In short, they use musical forms—not limited to sound—to do cultural and political work. Consider, for example, John Cage’s silent composition, 4′33″, performed alongside statements made on the AIDS crisis. Witness a group of artists staging a punk prayer in central Moscow’s Cathedral of Christ the Savior. Or see a video documenting listening exercises performed by retired sugar factory workers in present-day Taiwan. Common to these scenes is not only a sense of political urgency, but also a musical field requisitely expanded beyond the limits of sound. So what, if not sound, unites the work of these artists? Ultimately, through practices of mobilizing bodies and staging participation, they deploy forms of composition: they construct and compose radical forms of commonality and collectivity. Interdisciplinary artist, composer, and writer. His work has been discussed in publications such as The Wire, Postmodern Culture, MusikTexte, and Guernica. Presenting his work regularly throughout North America, Europe, and Japan, Barrett was a recent artist-in-residence at USF Verftet (Norway), the Virginia Center for the Creative Arts (VCCA), and the Catwalk Institute (New York). He has received grants from Akademie Schloss Solitude (Germany), DAAD (German Academic Exchange Service), and Franklin Furnace (New York). His writing has been published in Postmodern Culture, Contemporary Music Review, Mosaic, Glissando, and Tacet. His book, After Sound: Toward a Critical Music, was published in 2016 by Bloomsbury. Taking his 2016-essay "Keeping Score. Notation, Embodiment and Liveness" (South as a State of Mind) as a point of departure, Hendrik Folkerts will speak about the notion of the score. The score, as a musical but also as a visual apparatus, conditions a specific relationship between language, time and space. In the second half of the 20th century, composers and artists – using musical, visual and graphic languages – have advanced the score as a device that can both premeditate and emerge from the moment of performance, complicating the transition between score, live performance and documentation. In addition, such scores often design the spatial and social conditions in which a performance takes place, proposing space, architecture and social structure as parameters of a musical or performative work. While highlighting different typologies of scores, anchored in the visual arts, music, choreography and exhibition-making, Folkerts will focus on Cornelius Cardew, Jani Christou, José Maceda and Pauline Oliveros as composers who highlight the social as an imperative to the execution of the score. 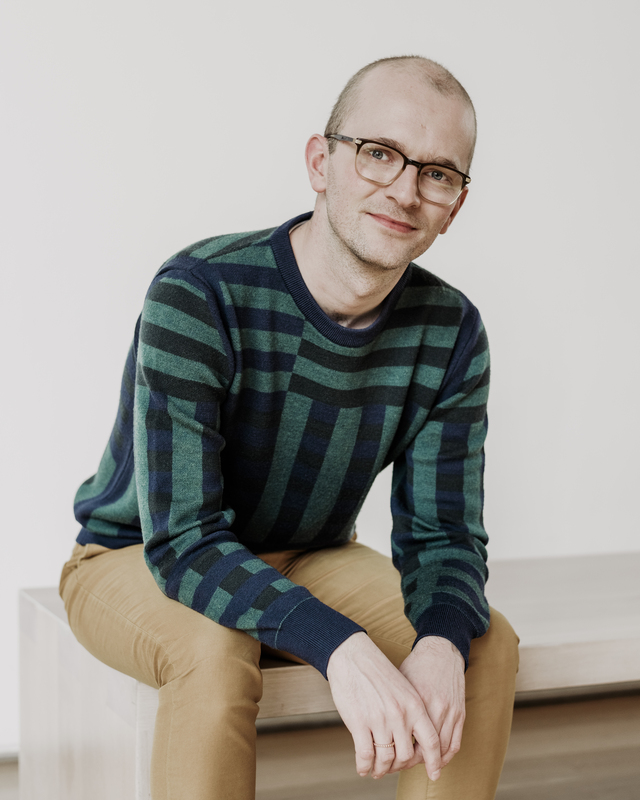 Hendrik Folkerts (M.A., Art History, University of Amsterdam) was recently appointed the new Dittmer Curator of Modern and Contemporary Art at the Art Institute of Chicago. His commitment to performance and body politics, global and feminist art histories, and supporting the work of contemporary artists through the process of commissioning, will unfold in exhibitions, collection presentations, performance and research programs – starting with the exhibition I strongly believe in our right to be frivolous of the work of Lebanese artist Mounira Al Solh (February 8 – April 29, 2018) and a biannual performance series starting in 2018. He was curator at documenta 14 (Athens, April 8 – July 16 / Kassel, June 10 – September 17, 2017) from 2014 until 2017. With a focus on performance and scores, indigenous practices and Southeast Asian & Pacific art, he curated a larger number of new artist commissions and together with the team led by artistic director Adam Szymczyk, was responsible for the exhibition in Athens and Kassel. Prior to this, Folkerts was Curator of Performance, Film, and Discursive Programs at the Stedelijk Museum in Amsterdam (2010 until 2015). 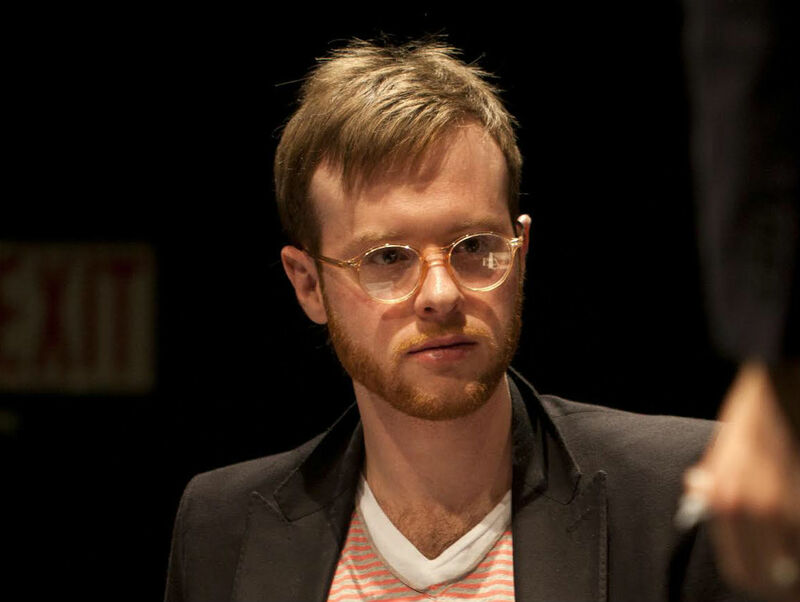 From 2009 to 2011, Folkerts was coordinator of the Curatorial Program at de Appel Arts Centre in Amsterdam. His texts have been published in journals and magazines such as South as a State of Mind, Mousse Magazine, Artforum International, The Exhibitionist, Metropolis M, Art & the Public Sphere and in various catalogues and artist publications. Folkerts is coeditor of The Shadowfiles #3: Curatorial Education (2013), Facing Forward: Art & Theory from a Future Perspective (2014) and the journal Stedelijk Studies #3: The Place of Performance (2015).